For women who want regular or situational support for normal sexual desire and enjoyment, VigorCare for Women is the safe, gentle, natural choice. Because stress can affect libido, VigorCare for Women is designed in part to restore the adrenal glands and reduce the impact of stress on the body. 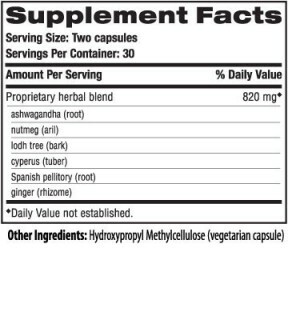 Vigor Care for Women includes Ashwagandha, a significant stress and mood supporting herb, and Cyperus, which supports normal estrogen balance to provide sustainable and healthy energy levels.